Instructed by thy angel’s voice. Ascend unto the highest cause. But love, the shepherds’ sacrifice. 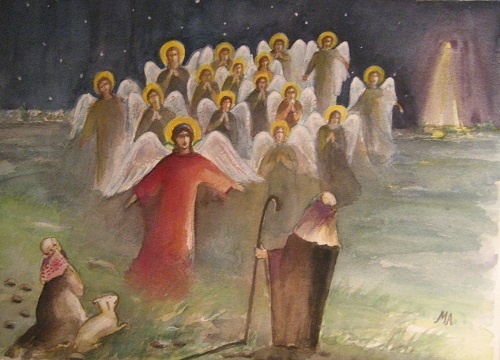 To the shepherds’ wonder come at last. Though not distinct be eloquent?